The story goes like this; in the Sung dyansty, there was an additional of a baby boy to a wealthy household. Precious and spoiled, he cried every night till dawn. Worried that something was wrong, the family consulted all the well known doctors in town but cries continued. One day, the father came home with a clay toy shaped with a rounded bottom and a small top. The child pushes, it wobbles and bounces back, it amuses the child and the crying stopped. The father believed that it was a blessing from god and had the figure of Guan Yin painted onto it, hoping it will protect his family from toppling. Unfortunately, one day the child broke the clay toy in half, a bad omen the father thought but the clay cannot be put together again. 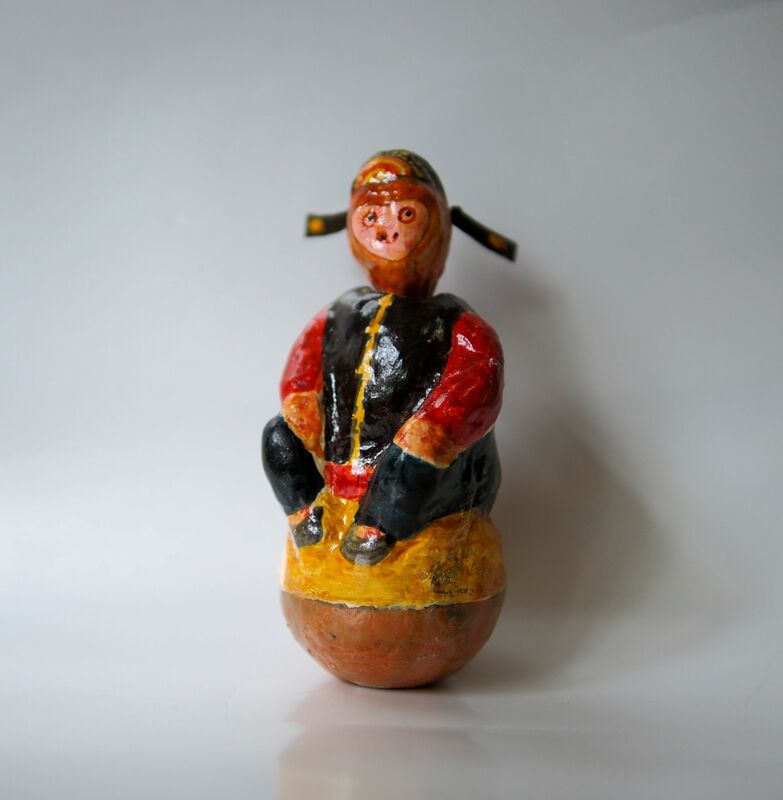 Cleverly, he used the broken toy as a mold and created a paper mache version and it became a popular folk toy in China.